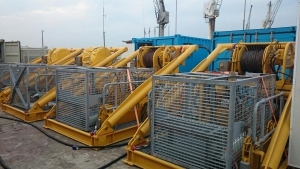 Whether it be semi-submersible rig drill ship support services, naval support services, equipment rental, vessel support or launch services – Cape Diving can assist. Cape Diving has been providing services to the Offshore Oil and Gas industry growing significantly in stature, and continues to provide a cost effective quality service. 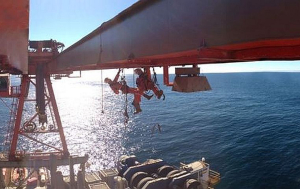 We provide rope access services to the Inshore and Offshore industries. The division is manned by qualified technicians who are capable of offering a wide range of services. 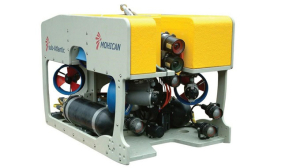 The Atlantic Mohican 019 ROV System which has specifically been developed to cope with the fast moving and unpredictable turbid waters of the southern North Sea and southern waters of Africa. 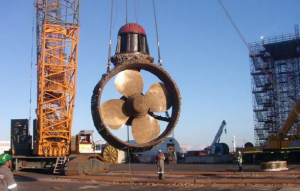 Cape Diving, a multi faceted company, has been providing a wide range of “one stop” services for over 50 years, to clients operating in the offshore oil and gas, shipping, marine and civil industries. We are a South African registered company who take pride in Reliability, Quality, Safety and Customer Satisfaction. Cape Diving is strategically located within the security perimeter of the Port of Cape Town and complies with the recently implemented IMO ISPS directive. Cape Diving is ISO 9001:2008 – Certification to ISO Management Standards. Cape Diving (Pty) Ltd operates to both known IMCA and ISO standards. Cape Diving (Pty) Ltd is a compliant Broad-Based Black Economic Empowerment (B-BBEE) in terms of the relevant South African Government’s Preferential Procurement and BEE Regulations and Codes. We actively promote and drive transformation and skills development in our company through training and apprenticeship opportunities, procurement and creating a representative workforce. Cape Diving (Pty) Ltd, has the following Class Approvals.